Amanda of Poppies and Ice-cream had a lot of ricotta left over after a Christmas cooking adventure, and she reached out to the blogosphere for advice on what to do with all that ricotta. I immediately thought of a recipe for "syrnichki", delicious pancake-like things that I've enjoyed eating all my life. So I shared my grandmother's recipe with Amanda, and she tried it out! I was very impressed that she made the perfect syrnichki on the first time - it certainly took me many failed attempts to get the recipe just right. Syrnichki made by Amanda. From her blog. For illustrated step-by-step instructions, the origin of syrnichki, and for the original recipe, check out Amanda's blog. Since I wrote this post some time ago, I had to follow up. Because this photo almost made me spill tea all over my keyboard. 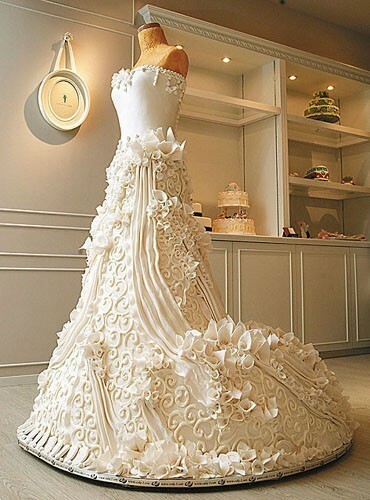 Yes, that is a cake. Found here. 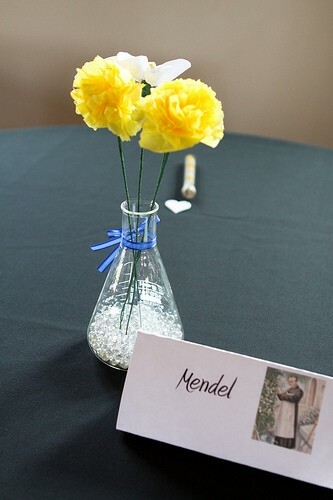 I have been doing a lot of thinking about centerpieces and my plan to DIY them. The thought of having to make about ten centerpieces AND four bouquets the day before the wedding was kind of giving me a mild panic attack. The idea of having non-floral centerpieces that could be made ahead of time was beginning to appeal to me more and more. As usual, I did lot of research on the blogosphere and added more ideas to my Pinterest wedding board than I know what to do with. Although all the different options were overwhelming, it was a good brainstorming exercise. And as a result, I now have a plan for our non-floral centerpieces! 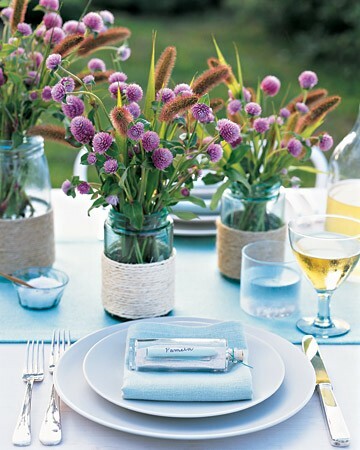 Mason jars wrapped in jute. Found here. Then, instead of flowers, I would make pom-poms (also known as yarn poofballs), using the tutorial found here. All I need is some yarn in different colors. Pom-poms or yarn poofballs instead of flowers. Image from the tutorial linked above. After making the pom-poms, I would attach them to some kind of stick that would function as a stem (maybe stem wire if it is stiff enough). I suspect that regular glue would work just as well as hot glue, but we will see if that is actually the case. 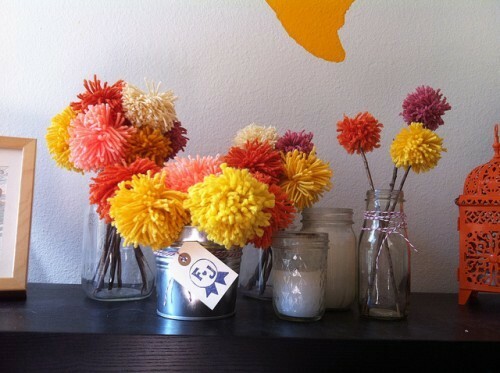 Then, I would fill the bottom of the mason jars with pebbles and stick my pom-pom "flowers" in. Voila! Paper flowers on a stick, with pebbles. How I wish I had Erlenmeyer flasks! From here. Time to go shopping for supplies! I can't wait to try this out. To be honest, I have been enjoying the DIY aspect of wedding planning a bit too much lately, even though I have little previous DIY experience. Still, it's so much fun that I think I may have to continue the DIY madness even after the wedding is over. Black and white text color scheme, color added in the border and background, one simple image. From here. 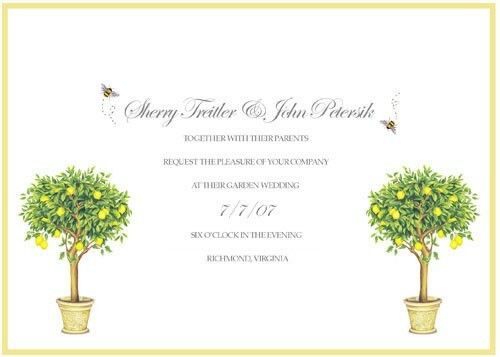 Black and white text, color added in the background, flowers but not "flowery". From here. Again, tight color scheme, a bit too "lovey-dovey" for me (literally!). From here. 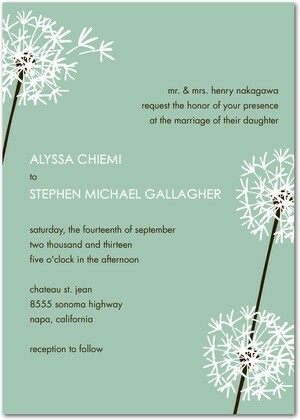 Love the font (same one I used on the STDs), colorful text, white background, cool flower graphics. From here. By YoungHouseLove (awesome people!). 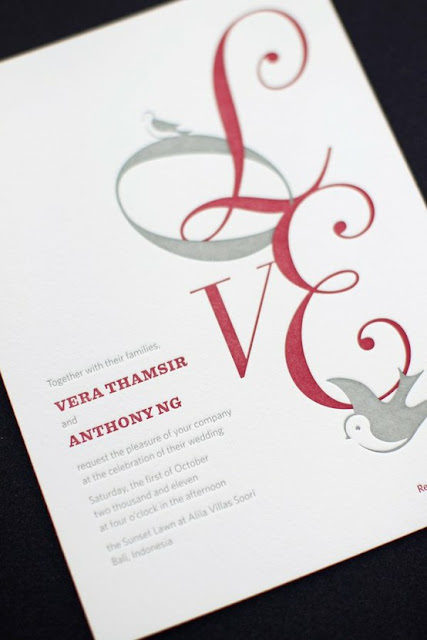 Simple, DIY, graphics represent their wedding colors. From here. This one was my favorite design. 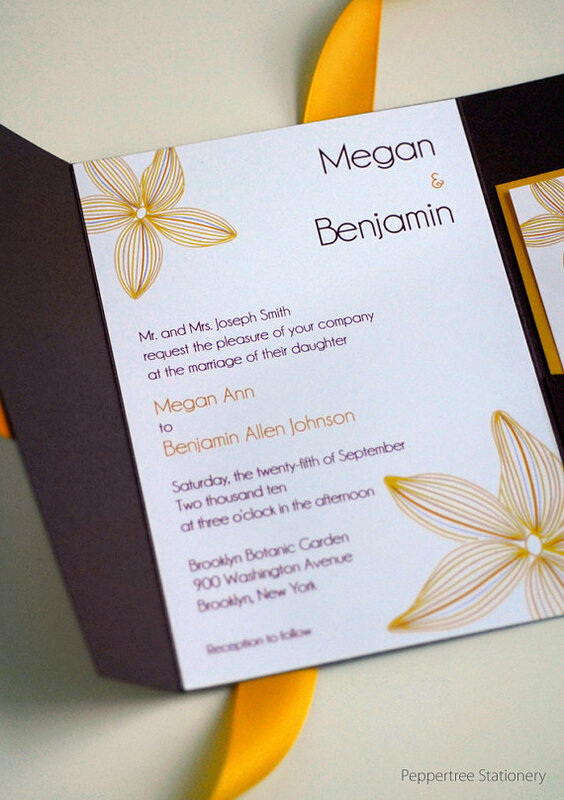 Cool font, borderless, repeatable graphics (printer friendly!). From here. As I mentioned earlier, I decided to get a little crafty with Christmas presents this year. 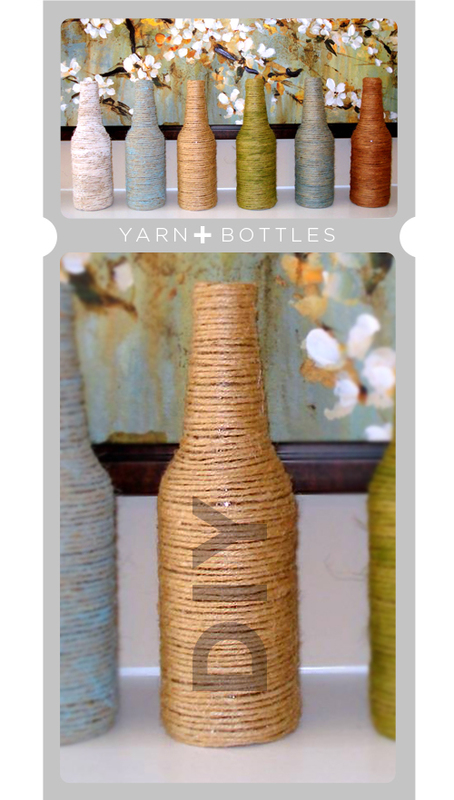 While browsing Pinterest, I stumbled upon this image that inspired me to try my hand at making vases out of wine and beer bottles. Found here. Originally from here. A little bit of googling turned up handy tutorials on how to wrap bottles with jute. Some tutorials called for using a hot glue gun, which I don't own (and quite frankly, I can't imagine that getting hot glue on your fingers is all that pleasant). Luckily, I found some tutorials, like this one, which claimed that you could achieve the same results using plain old Elmer's glue. The first step was to obtain some empty wine and beer bottles. I asked D to help me out with this step. I literally told him, "I need you to drink beer for my project." He was happy to oblige! Once I had a few bottles collected, I needed to remove the labels. Soaking the bottles in hot water makes this step much easier than trying to scrape dry labels off the bottles. Bottles soaking in hot water in the kitchen sink. Some labels came off rather easily, while others required a little scrubbing. On one wine bottle, I wasn't able to get all of the glue off, but it was fine by me, since I was going to cover it with jute anyway. After all the labels were off, and the bottles no longer smelled like alcohol, I let them dry overnight. Once the bottles were prepped, I gathered my supplies. I figured I would start with a beer bottle because it was smaller, and if I screwed up, I'd still have plenty more extra beer bottles to play with. I also bought Elmer's glue and a roll of jute (which I found in the jewelry and beading aisle at an arts and crafts store). I used a paper bag to contain my mess and not ruin the dining table. I started wrapping my beer bottle from the bottom just because I figured any mistakes would be less obvious there than on the top. I did not glue any jute underneath the bottle. These photos had to be taken with my phone because I don't happen to have three hands (one to hold the bottle, one to hold the SLR camera, and one to take the photo). I started wrapping the bottle from the bottom. The basic steps of the process involved putting a little bit of glue on the circumference of the bottle, placing jute over the glue, and holding that part down for some time to make sure that it set enough for me to move on to the next section. The beginning part was hard because the jute kept trying to slide off the bottom of the bottle, so I had to hold it in place longer than the subsequent sections. The rest of the bottle was mostly straightforward, except when the bottle started narrowing. In that section, the jute kept sliding up the bottle to the narrower part, and I had to allow for a longer setting time again. Glue and wrap. Glue and wrap. Rinse, repeat. To wrap one beer bottle in jute took me about an hour. Granted, I was being paranoid and made sure that every piece of jute was glued to the bottle. I probably could have gotten away with gluing every other turn around the bottle, but since this was supposed to be a gift, I didn't want to take any chances. After an hour of sniffing glue, I had gotten quite light-headed. But it was totally worth it because the beer bottle vase turned out great! The beer bottle vase is complete! Inspired by my initial success, I was eager to proceed with the rest of the bottles. I happened to have some yellow yarn sitting around from another project, so I figured I could try wrapping one beer bottle with that, just to mix things up a bit. For some reason, though, this particular yarn was refusing to stick to the bottle. It would just slide off, no matter how much glue I would dump on it. I suspected that the yarn may have been too narrow, and so I bought a multicolored blue/green yarn that was wider. It worked out much better. The yarn on the left is wider and flatter than the yarn on the right. I made a few more beer bottle vases and one wine bottle vase. The wine bottle vase took two hours to make, and of course I was trying to finish it up the day before Christmas Eve! Luckily, it all worked out. The wine and beer bottle vases, all done! Marked by feelings of bitterness and frustration. It is not uncommon for people in this stage to feel as though they are failing in some way. This causes the individual to swing between feeling angry over all the expectations being placed on them and despondent over their inability to live up. Persons may find themselves resenting others with friends and family who: own a barn, DJ, have the enviable ability to craft masterpieces out of bits of random fabric and paper. By the end of November, we checked all the "major" items off our To-Do list. We chose a venue, found a Justice of Peace that we were happy with, booked an awesome photographer, finalized our menu, and booked our wonderful caterer. Oh, and I bought my dress. Well, guess what! That was the easy part! While I was resting on my laurels taking a break from wedding planning, some truly difficult situations reared their ugly heads. I was having brunch with a group of friends when the topic of our wedding was brought up (not by me). 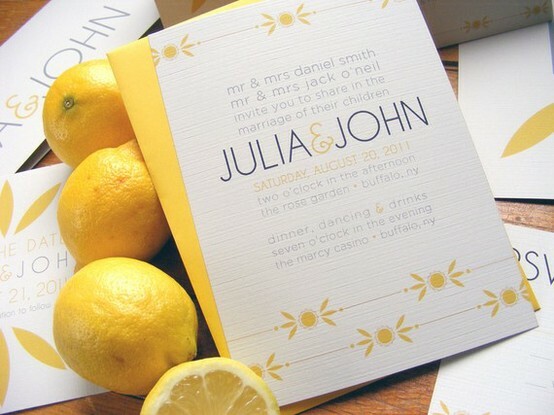 The problem was, not everyone at the table was invited to the wedding (we had to make some difficult guest list decisions that had nothing to do with the budget), but everyone ASSUMED they were invited. I tried to veto the subject of the wedding, but that failed miserably, and awkwardness ensued. I sort of didn't deal with the situation then, but I know the fallout is coming. Should be interesting. As awkward as that situation was, the truly difficult part of wedding planning entered our lives when we found out that two of my very dear family members will not be able to attend the wedding due to health issues. Not that it was a complete surprise - I've been aware of these health problems for a while now. But they are getting worse, and they will not get better, and I cannot imagine having a wedding without these two people closest to my heart, without being able to share this moment with them. I am questioning the point of having a wedding at all - who are we doing it for, if not for the people who now can't be there with us? I know my family wants me to stick to the original plans for the wedding, and eventually I will figure out a way to get through this and move on. I'm fully prepared to do everything possible to live stream the ceremony so that my grandparents can feel that they are a part of it (I don't care if there is no Wi-Fi in the park by the water, I will make it happen, goddammit). But right now, I'm still struggling to cope with this and trying to muster up the energy to keep planning the wedding. Meanwhile, I'll be dipping my toes into stage Five of wedding planning (also known as "Rebellion" or "EFF it") and slashing seemingly important things from our budget. After I read the chapter on traditions in Meg's book, I decided that favors are not just un-traditional, but also rather ridiculous. 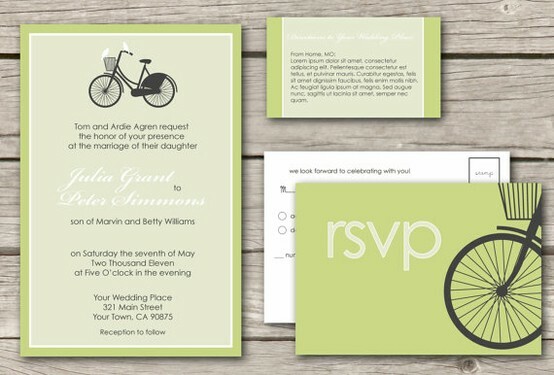 I've been to many weddings, and I cannot remember caring one bit about favors. Most of the time, they are useless trinkets that no one keeps anyway. Also, we are hosting (and paying for) a huge party for our guests, where we will feed them and provide ample entertainment. I doubt anyone will miss the favors.